Notes: Note: General Motors Services Parts For 1984-86 Alternators Only. 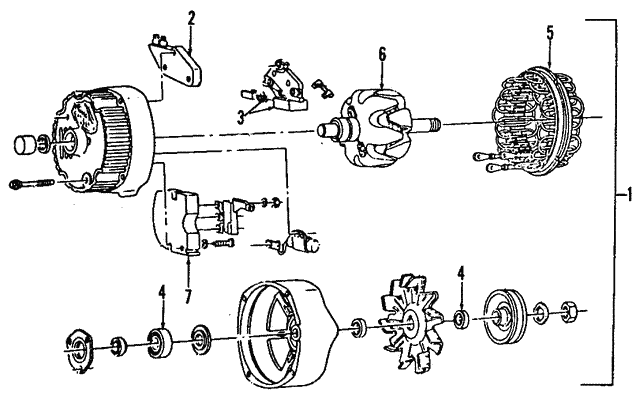 1987-91 Alternators Are Sold As Remanufactured Units. General Motors Services The Alternator As A Remanfactured Unit Only For 1986-02 Model Years. General Motors Does Not Service Components Seperately.